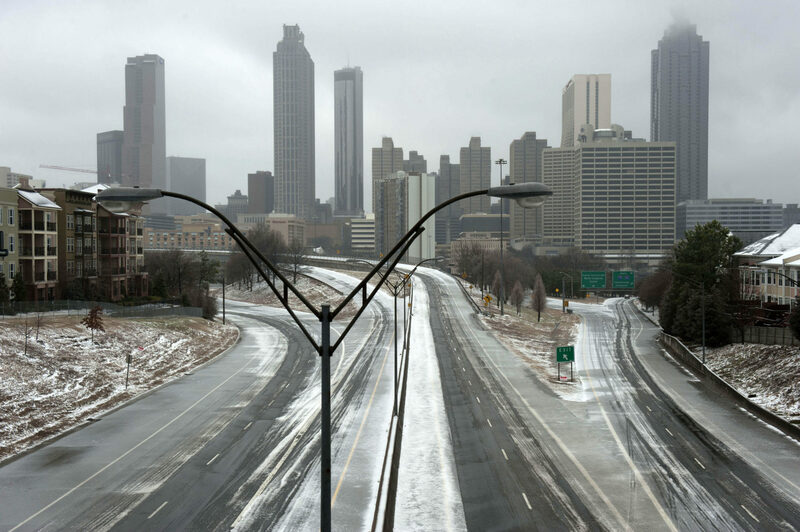 Median home values in Atlanta have skyrocketed year-over-year, rising 13.2 percent in December to shoulder the highest growth rate in the nation, displacing Seattle and San Jose, two major tech hubs that have experienced prices surges over the past several years. Home values in Seattle plummeted 7.4 percent, from 12.4 percent in December 2017 to just 5 percent last month, according to new data from Zillow, released Friday. San Jose, meanwhile, experienced a similar drop, falling from 16.8 percent in December 2017 to 9.9 percent last month. “Looking at the nation as a whole, housing appreciation seems stabilized at an arguably aggressive pace,” said Skylar Olsen, Zillow director of economic research and outreach. Nationwide, a typical home is now worth $223,900, 7.6 percent more than it was a year ago. A sustained period of growth, however, may be approaching a tipping point: Since December 2017, appreciation rates dropped in more than half of the 35 largest markets across the country. In Atlanta, home values grew to 13.2 percent, mirroring other non-coastal cities that experienced sharp growth. With the highest growth nationally, Atlanta lead other non-coastal cities including Las Vegas, Indianapolis and Dallas-Fort Worth with the largest home value growth overall. 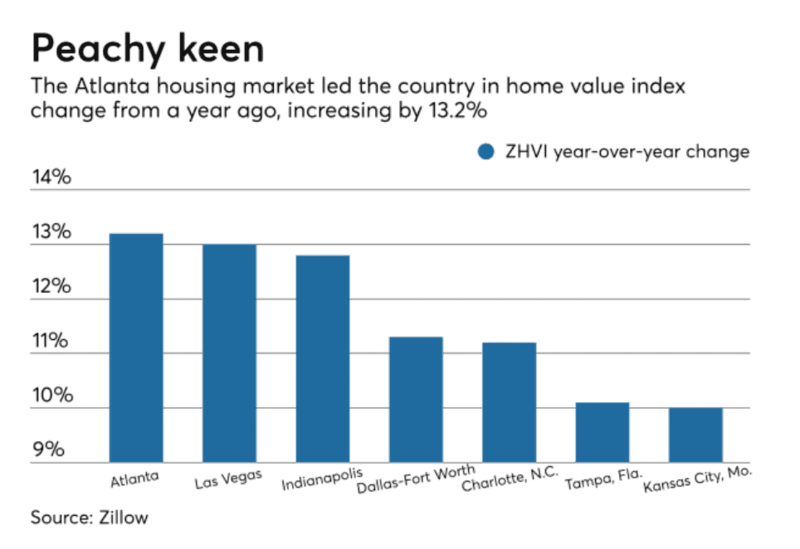 The reasons, according to Zillow, have to do with oversaturated markets in some places along the West Coast — long-term home value growth is unsustainable when incomes are not rising at an equal rate. The number of homes on the market, meanwhile, fell 0.4 percent after three straight month of increases, yet another signal that a market turnaround may be on the horizon.